We all had a fantastic time at the villa. The villa itself was magnificent, lots of characters. We have all enjoyed our stay at the villa. The owners were very welcoming and charming. Every aspect of the house was explained fully by the owner on our arrival. The view was spectacular. We visited Cannes, Nice, Grasse and Valbonne. The restaurants and local facilities were impressive. 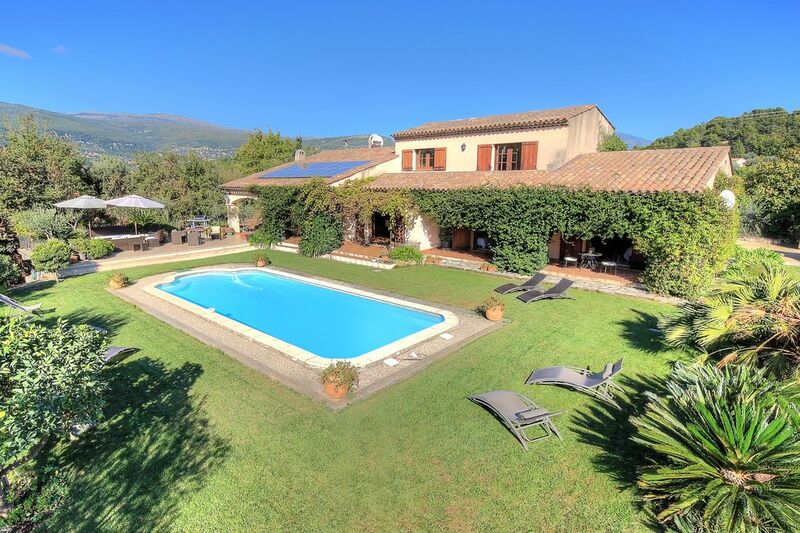 We strongly recommend the villa and will definitely come back for our next holiday in France. Each group of tenants is a new experience and discovery, yours was a great pleasure and and we really enjoyed you were so pleased with La Cigaliere. Hope you will be able to come back again with friends and family. My partner and I had a wonderfully relaxing week at Christian and Kim's beautiful home. We were extremely well looked after for the entire stay but also had lots of privacy. We never felt like we were a burden to them in their own home and were happy to advise us on places to go for dinner. The breakfasts were delicious and the views spectacular. A car is pretty much essential but is is not far to get to the nearest shops and restaurants. Highly reccommended for a relaxing week in beautiful surroundings. Please note the the VERY good ratio QUALITY PRICE of the offer. Our standard terms of payment are set as follows: 25% down payment at the reservation time is not refundable in case of cancellation by the customer. Homeaway shall confirm to the property owner good reception of the funds in its hands at time of booking25% and 30 days before arrival 75%+EUR 1000 as refundable guaranty deposit. The deposit can remitted in cash at time of keys hand over the arrival day.